What do the rights to due process, health care, a clean environment, education, and living wage have in common? Over the next four years, we are likely to witness dramatic changes in how the US government sees and treats fundamental rights. RightsWatch seeks to bring Duke scholars and activists in conversation about the rights debates that will shape the future. These panels are designed to comment on a fast-moving political scene while at the same time engaging in civil – and deeply civic – conversation. 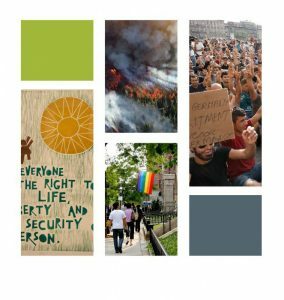 The Duke Human Rights Center @ the Franklin Humanities Institute brings together an interdisciplinary group of scholars, staff and students to promote new understandings about global human rights issues. The panels will be live streamed from the Duke Human Rights Center@FHI Facebook page. Please post questions in the comment section of the live stream post.